3,000 years of ideas about the nature of love in Western culture are brought together in this concise history. 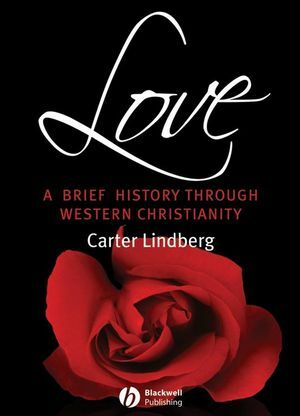 By blending the works of many scholars and examining the significant lives, works, and movements associated with love, Love: A Brief History Through Western Christianity traces the evolution and impact of this timeless topic. Contributes valuable insights into one of history’s most inexhaustible and timeless topics, spanning biblical views of love including monasticism and pietism, romantic notions of love, through to today’s liberal religion and concept of love as self-fulfillment. Carter Lindberg is Professor Emeritus of Church History at Boston University School of Theology. He is the author of numerous books, including A Brief History of Christianity (2005), The Pietist Theologians (2004), The Reformation Theologians (2001), and The European Reformations (1995), all published by Wiley-Blackwell. 1. The Language of Love. 2. Biblical Views of Love. 3. A World Without Love? The Greco-Roman World and Early Christianity. 4. Caritas: The Augustinian Synthesis of Biblical Agape and Hellenistic Eros. 5. Love and the Individual: Abelard and Bernard. 7. Faith Formed by Love: Scholasticism. 8. Faith Active in Love: Reformation. 9. Love as Service: Pietism and the Diaconal Movements. 10. Love in the Modern World.